There are few snacks quite so satisfying as a pile of soft, chewy peanut butter cookies with a glass of milk (or Ovaltine, in my case). Peanut butter cookies can be made so many different ways, and I’ll be showacasing all of those different methods over the coming months. Sometimes I like the cookies a bit crispier or crumblier. It really depends on my day. But this time, I wanted that melt-in-your-mouth softness that comes with making a thick, gorgeous cookie. 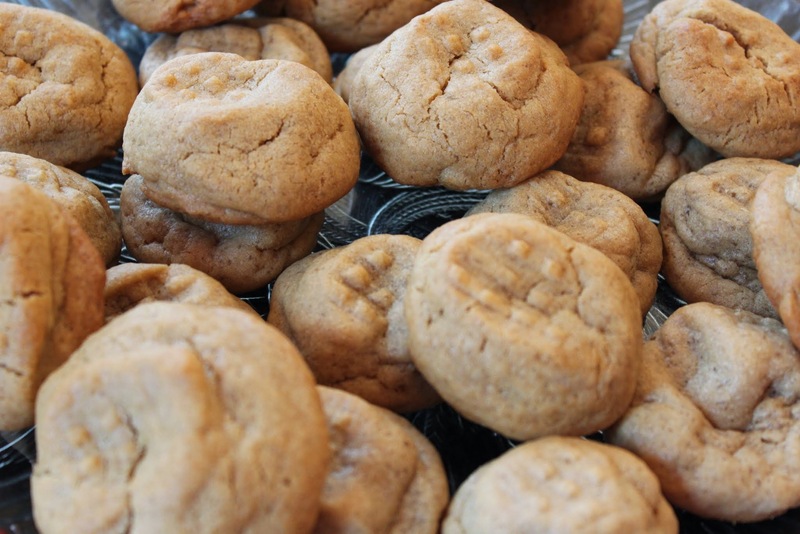 This recipe was featured just a few days ago as part of my Reese’s peanut butter egg cookies, and it works great if you want to stuff anything into the middle. But luckily, this baby is versatile. It’s a great cookie on its own, too! When I was a cookie baking newbie, I’d roll the dough into balls and bake them. I was always so disappointed when I wound up with flat discs that didn’t remotely resemble the cookies in the picture of the recipe. Since then, I’ve learned a few tricks. The first is to always, always refrigerate the dough. If you don’t, the butter is too warm and the cookies spread out from the additional heat of the oven. You can chill the dough for as little as one hour, but I like to make the dough at night and then bake the next day. So always work the chill time into your baking plans. I know very few cookie doughs that don’t benefit from this method. 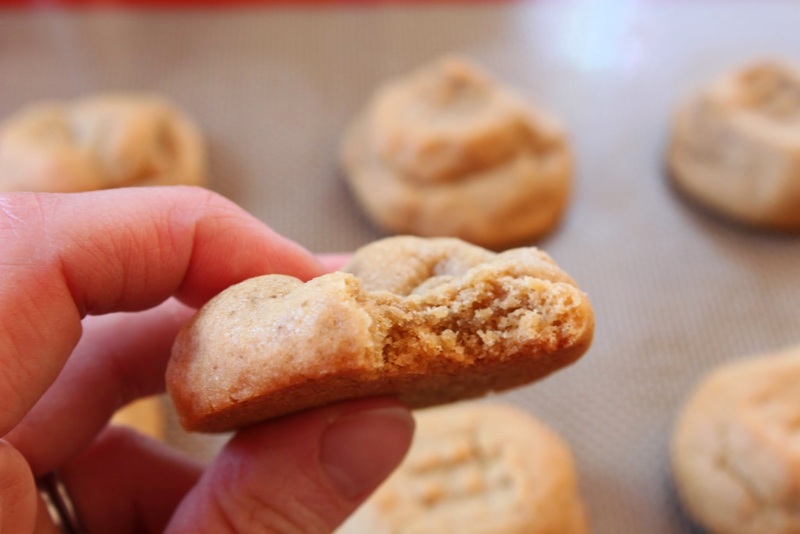 The other trick for the right cookie thickness is to stack the dough up tall rather than rolling it into a ball. As the dough bakes. the dough tower will gradually come down quite a bit, but you’ll still have some height to the cookie. 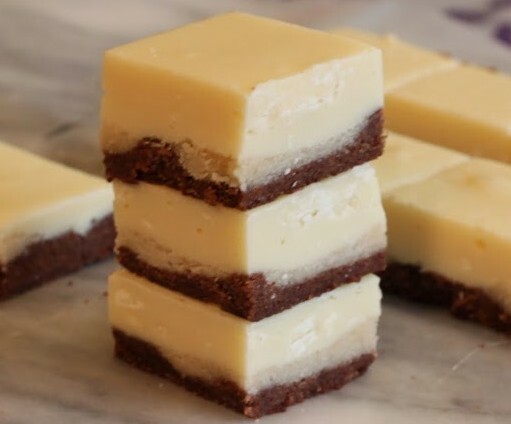 I noticed a while back that place and bake cookies (the kind you buy in the store from Pillsbury or similar) are taller, and that’s what inspired me to try that shape! See? It looks weird before you bake it, but that’s a before picture. Here’s an after. This dough will also freeze really well. When you’re ready, just take the dough out, thaw it, and make a whole giant plateful of soft and delicious cookies! Enjoy! 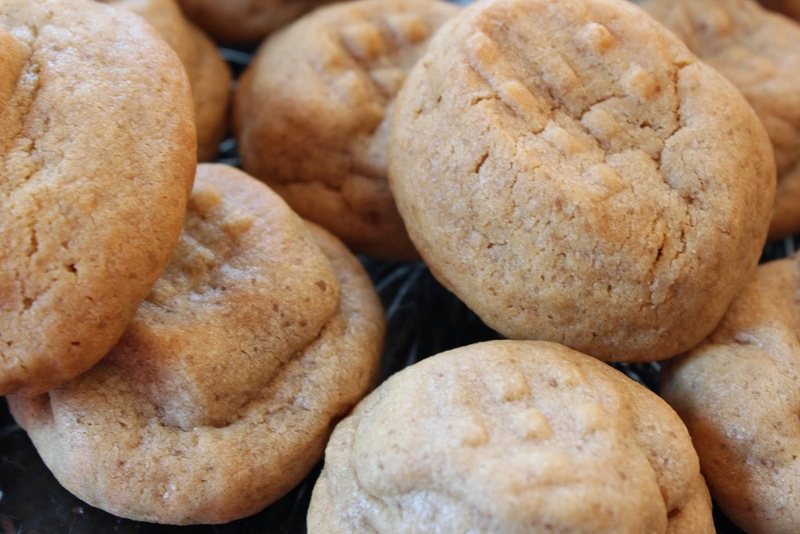 And remember: this is the first of many peanut butter cookie recipes I’ll be sharing, because I don’t like to discriminate. Wouldn’t want to make all the other kinds of cookies jealous, right? 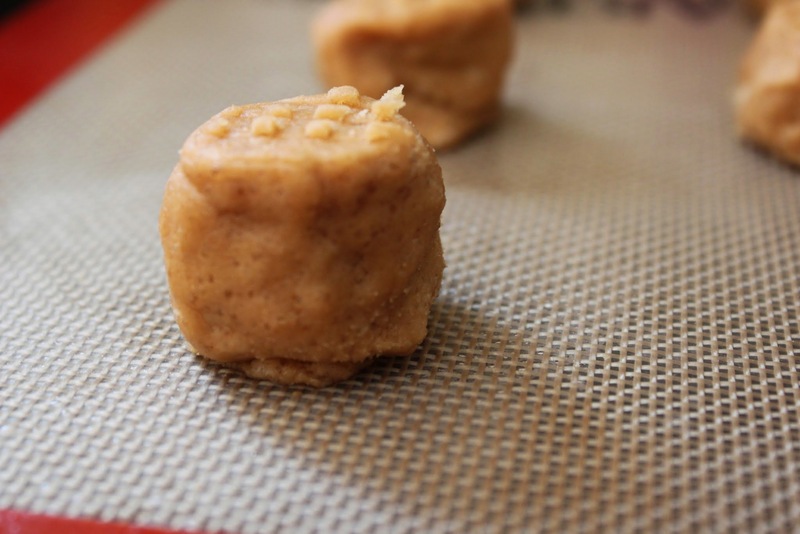 In the bowl of a stand mixer, beat the butter, sugars and peanut butter until creamy. Add the eggs, mixing thoroughly after each addition. Add the baking powder, baking soda, and vanilla. Finally, stir in the flour until everything is combined into a soft dough. Cover the mixing bowl in plastic wrap and put the dough in the refrigerator to chill for at least one hour. You can keep it chilling for up to two days. When you’re ready to make the cookies, preheat the oven to 350. Line a cookie sheet with parchment paper or use a Silpat baking sheet. Using the method described above, form the dough into tall stacks, with a little more dough toward the bottom to form a solid base. The amount of dough you use depends on how big you want the cookie to be. I made these smaller, but it’s up to you! Bake the cookies for 8-10 minutes, rotating the pan halfway through for even baking. Be careful: they go from done to overdone very quickly! Cool the cookies for a few minutes and then remove to a wire rack to finish cooling. Grab a glass of milk. Eat. Enjoy! That’s right, kids. Monday, March 14th is the happiest of all national holidays, the day Americans celebrate what is truly important in life: PIE! My school is having a pie extravaganza today, and this baby here is my contribution to the effort. Somebody stop me before I eat it all up. On the other hand…nah, don’t. Let me do some damage here. 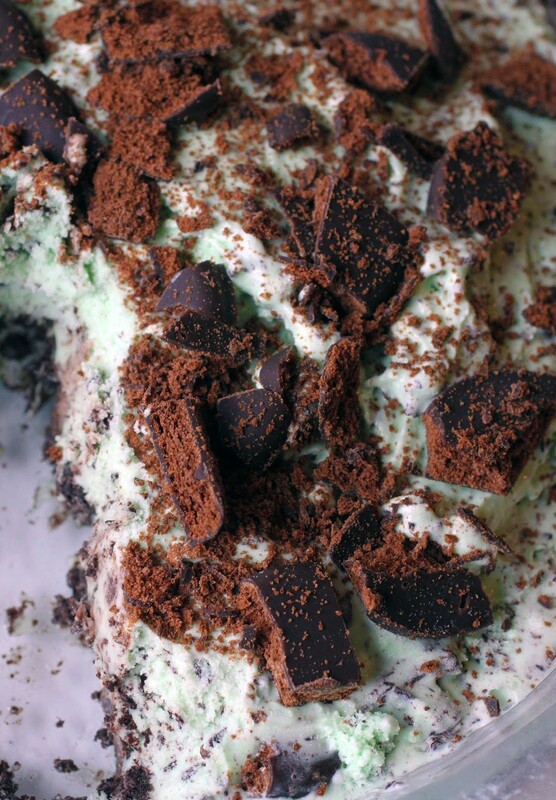 We’ve got an Oreo crust, mint chocolate chip ice cream, and crushed Thin Mints. It’s the easiest pie ever, and might be the most delicious. It’s autumn, which means that there are a series of holidays that force me to go digital-free for a couple of days this week and next. So I’ll be back on the scene soon, but in the meantime, I have this for you! 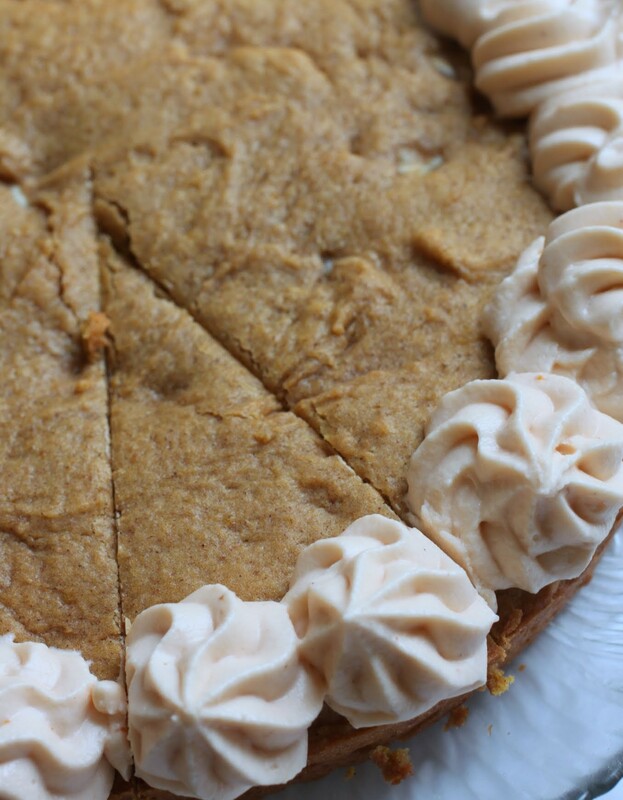 It’s a pumpkin cookie cake, yep. But it also has delightful pumpkin spice cream cheese frosting. It doesn’t get much better than this. Unless somebody happens to have a jet ski handy, because that’s on my bucket list. Cookie cakes are so superior to plain old cookies. Think about it: no dough chilling time, nice big wedges to dig into, and frosting. Why do you think those cookie cakes at the grocery store always look so tempting?